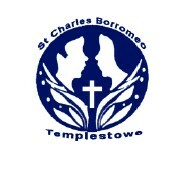 St Charles Borromeo Catholic Primary School is part of the Serpell Community School Campus that nestles in 13 acres of land in Templestowe. This provides our children with the unique advantages of access to extensive facilities, whilst the school size ensures an intimate, caring community in which all the children are known to, and valued by, the entire team of dedicated staff. St Charles is extremely fortunate to have a brand new state of the art school built. We are dedicated to developing children with a healthy mind, body and spirit who develop a love of life long learning within a Catholic Faith setting.